Despite my being sort of ….eh about the knitting right now (and even my not-that-pumped is still pretty damn obsessed), I’ve been working on this raglan out of Silky Tweed. I think I’m just about to the underarm now – I’ll probably do a few more rounds to make sure it’s long enough. Then I’ll have to decide what I’m going to do for the yoke! Luckily, I think I’m going to have enough yarn. 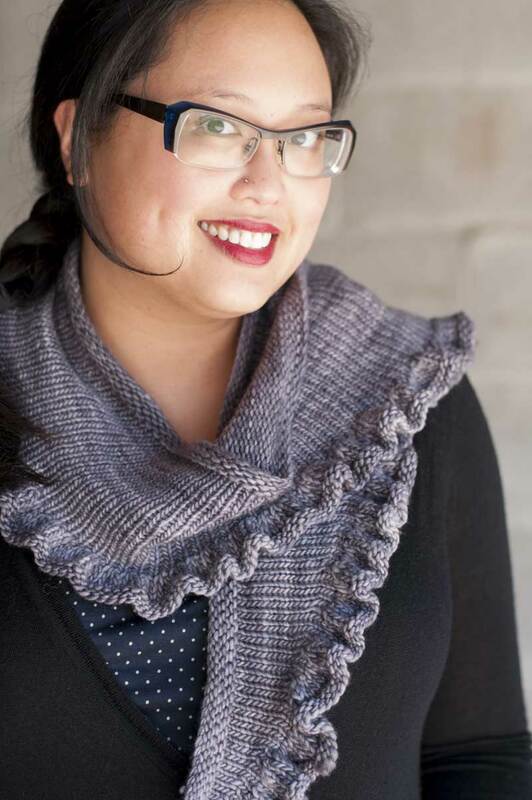 I’ve got two more skeins of the grey left for the yoke, and the front’s going to be a vneck, no so worries there. Maybe I’ll start a sleeve just for a change. Last night at SnB with stephannie looking over my shoulder (just kidding), I wove a square out of Artyarns Ultramerino leftovers. Here’s how the fabric should look: all nice and even, flat. See the slanty bits in the horizontal strands? The yarn was twisting, so I let out some of the twist, but I either did it too much or not enough. That’s what’s causing the curling! It’s the damnedest thing. Hopefully it’s just a one-off – or I’ll have to stick with the yarns I’ve used so far and had good luck with! Final tidbit of the day (and I promise there are going to be some FO’s around here soon) – I was at Ikea the other day and bought this cute basket. I’ve decided it shall be…the shawl basket. Yeah, it’s actually full of shawls. They could be folded more efficiently to maximize the number of items, but for now – it’s just the right size! I knew I’d seen weaving with yarn somewhere recently . . . and this was it! I darned a huge hole in a Koigu sock yesterday and I thought the woven part looked so pretty with all the colors mixing up. What are you doing with your squares? Can you say exactly how you did the hem on that silky tweed? It looks so perfect – no puckering! I have my brand new Weavette – now I just have to wade through the directions and start using up my bits and bobs of leftover sock yarn. You were my inspiration! I love the basket o’shawls! It reminds me of Dutch paintings. hmm.. I’ve been wodnering how to best keep my shawls – a basket seems like a good idea! I’d just have to find a spot for a basket..hmm…. The basket of shawls is perfect and so pleasing to the eye. Great idea! Mnnnn…silky tweed. It’s a favorite of mine, if it’s ever discontinued I’ll have to hoard it. Is there an edge treatment that you could put on the square to keep it from curling? And the basket of shawls is loveliness! IKEA rocks for good storage solutions. It looks beautiful just sitting there.